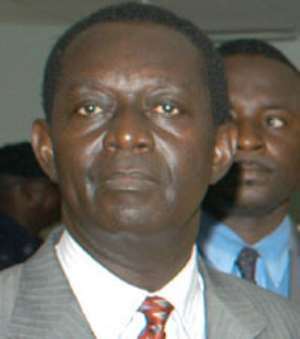 The Defence Minister designate, Dr. Kwame Addo Kufuor, has pledged to bring to book those involved in the murder of Alhaji Issah Mobila in Tamale. “ I believe in the rule of law and I believe that soldiers must respect their civilian compatriots and I am so concerned about what has happened in Tamale that I have written a strong letter to the IGP to publish whatever investigations conducted so far, so that the law can take its course”, he said. He admitted that it was a secret letter but now that he was under the spotlight, he would bring the letter out. On the activities of thugs in his constituencies, Dr. Addo Kufuor said he has directed that the military be involved in halting their criminal activities so that residents in the Kumasi metropolis can have their peace of mind. “There are groups calling themselves 'Taliban' and 'Alqeeda' in my constituency and these people are aggressive and they use dangerous weapons such as shot guns and stealing and wounding people”, he said. He said the interior minister is the right person to deal with such issue and that when he was the acting minister he was faced with such problems and the problem was solved. “ I am sure the in-coming minister would be able to help us”, he said. He commented on a number of issues affecting his ministry including infrastructural and human resource development. He noted that the Military Academy is to be affiliated to the University of Ghana to award degrees in soldiering.